Blue cruises are luxury holidays offered from the shores of Turkey. The Turkish gullets that are an important part of these blue cruise Turkey holidays can be quite affordable. This depends on a variety of criteria. From the gulet size, quality, class, services and facilities to the time of year travelers book their gulet yacht charter, plays an vital role in the price. 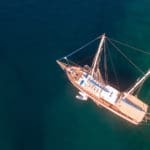 If travelers book a gulet during the early booking season, they can take advantage of great discounts on all class of gulets. 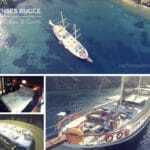 There are times where a deluxe gulet can be chartered at luxury gulet prices. 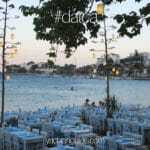 The same falls into place for some ultra deluxe at deluxe gulet prices. 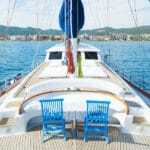 Therefore, travelers have many price options when deciding to book a cost friendly blue cruise yacht charter in Turkey.